This beautiful pink tiara is gorgeous!!! Loopy with a tall base of pink rhinestones attached to a barrette. 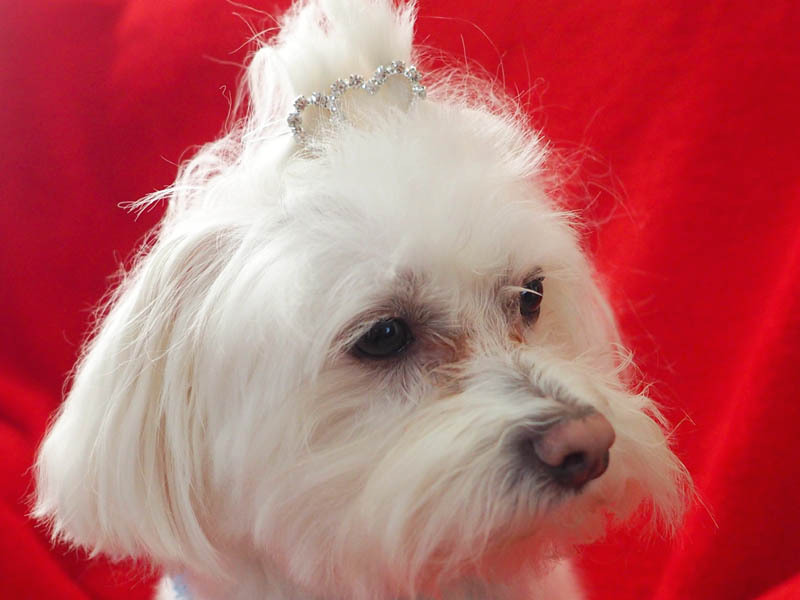 Pet tiaras are best when sitting for a photo session. 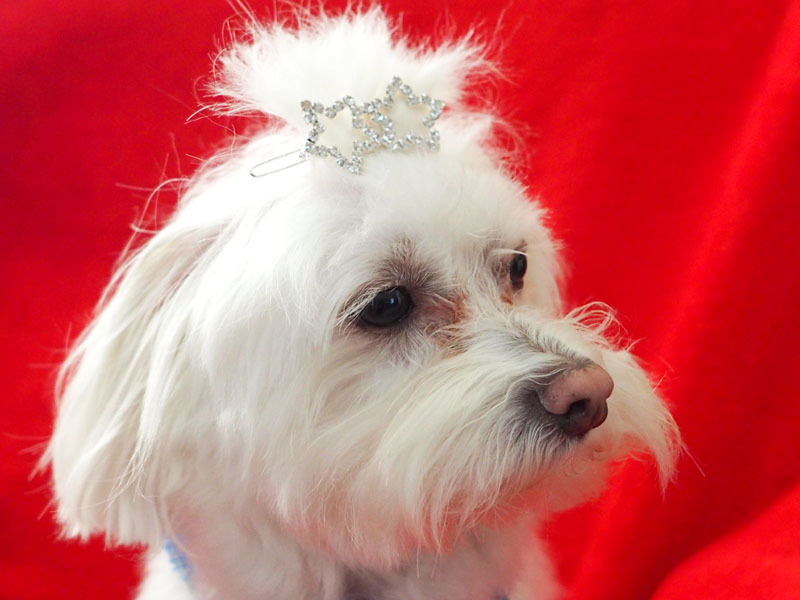 Extra hair pins or tape may be needed if your puppy is wiggly, has short hair, or is going to be moving around a lot.